TOMunro: Belated Happy Self-Publishing Day to me. On the 11th June 2013 I launched Lady of the Helm, first book in my Bloodline trilogy. In December this was followed by book two, Wrath of the Medusa and in June 2014 I reviewed my first year's experience in a blog post here. I am now a month overdue for a second state of the nation review. So apologies to those who, having made my previous annual review my second most popular blog page, might have expected a more timely follow up. In my defence it has been an eventful year both in my fantasy writing life and the real world life of work at a job that pays the bills and presents its own challenges and opportunities. 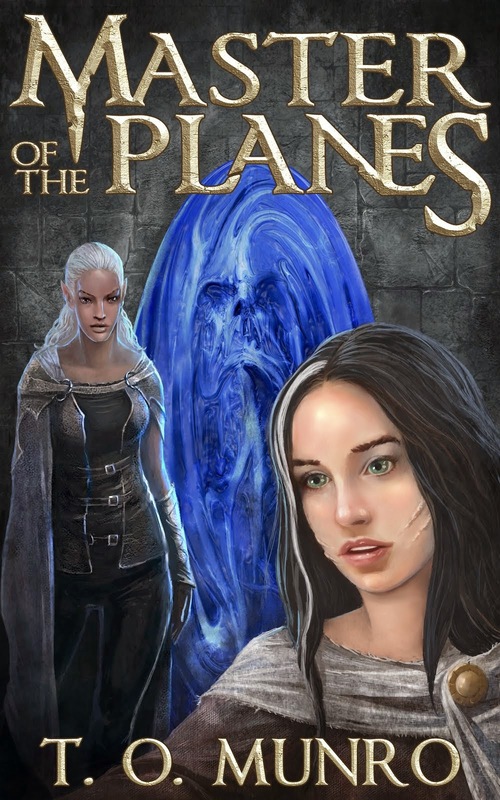 As you will see, the trilogy was completed in November 2014 when Volume Three "Master of the Planes" hit the kindle shelves, nearly 12 months since Book Two made its debut. My experience of books has been something like my experience of baby daughters, in that they have got bigger as they went on. There is an undeniable satisfaction in having completed the trilogy, bringing the disparate story arcs to a definitive conclusion. While my current work in progress revisits that world and some of its characters in a epilogue that seems set to grow to two books, the story of Niarmit and Maelgrum has been wrestled to its conclusion. It has been nearly two decades since the first germs of the ideas at the heart of Niarmit's tale began to form in my mind as I paced serried rows of desks in exam invigilation. I am still satisfied with my decision to self-publish. A mixture of expediency and control motivated me down that path and the demands and remuneration available through my day job make it unlikely that my writing will graduate from hobby to (main) career anytime soon. Nonetheless, there is still no thrill quite like getting feedback from an excited reader's positive review, or watching spikes in sales and a climbing ranking. Never mind that - tell us about the sales. I have sold more books than many, and a lot less than others. I have, just about earned more money than I have spent but we are talking here about a few meals out not a holiday in the Bahamas still less a new house or car. There is a kind of logarithmic scale to author sales where relative success rates are best compared in powers of ten. Selling 10 times more than one person might make me seem relatively successful, but then I have sold 10s, hundreds, thousands times less than the better sellers. In addition for much of the second year the books have been enrolled in the Kindle Unlimited programme with another 360 "borrows." Given the modest prices, and even more modest royalty returns that I have set, the amount each of these borrows have earned is comparable to what a sale earns, so in my mind I think of them as sales. You will notice the spectacular peak around Christmas 2014 and that since then things have been a little quiet. As a soldier on dawn guard duty in a war film might say, "It's too damn quiet." There is doubtless some seasonality at work and also there is the curve in the life cycle of any book, but at some point I will try to put a little more effort into promotion. There will be those who will find those figures risable, and others who find them enviable, such is the broad logarithmic spectrum of indie book sales. While the books are all now available in hard copy through create space, the figures there are drops in the ocean. Handfuls bought by me for onward distribution, or family, or the occasional devoted reader who hankers for the reality of paper pages. However, I am "in a school library", my youngest daughter having struck up a conversation with the librarian and got a set of my books on a Belfast school shelf. The Changing Landscape of Amazon. I have kept my books not just with Amazon, but in their Kindle Direct Programme. I know others have eschewed the media behemoth and fair play to those pursuing a range of indie paths. Seek out B&N and Kobo and push your books as hard and as wide as you can. For myself though, convenience and expediency rule. I simply have not found the time to pursue those other possibilities. I have still made little use of the KDP offers - kindle countdown deals, or even free book promotions or the amazon adverts. But for the last few months my kindle unlimited borrows - only available through KDP select programme - have been nearly as numerous as the sales so I have been loath to part with them. And now the way borrows are calculated and paid has changed in a way which works particularly to my benefit. You see my books are long, 400, 500 and 725 pages and in the past borrows of my books were getting the same (slightly variable) flat rate of just over $1 as short 38 page pamphlets were getting. But now Amazon will pay by the page read and even if it is only 1/2 a cent a page I'll be paid between $2 and $3.13 for a read of my books, which is more than I get by selling them. So Jeff Bezos has lured me in for a few more months at least. Every time a reader says "I don't believe in reviews" somewhere a self-published author dies. Well, o.k. I exaggerate. But it is hard to underestimate how in their solitary toil an author can crave the feedback, the endorsement, the validation even, of a review. Especially we love to see if the effects we sought to create did have the impact we hoped on our readers. It is always a delight to interact with a vibrant online community of authors and readers. In particular it was a privilege to get invited as a judge in another short story competition. "The Liar's Key" flash fiction competition run on the ThatThornGuy.com website. Seeing great writing, exchanging views with great authors, and finding a huge convergence of opinion about what constituted a real quality effort was fascinating. It was also great to have the chance to put my own book forward for Mark Lawrence's self-published fantasy blog-off with over 250 titles submitted to ten busy fantasy bloggers in a bid to unearth a potential gem. It is a long task for those ten volunteers, and I speak as one who is way off track for my personal target to read 42 books in a whole year. 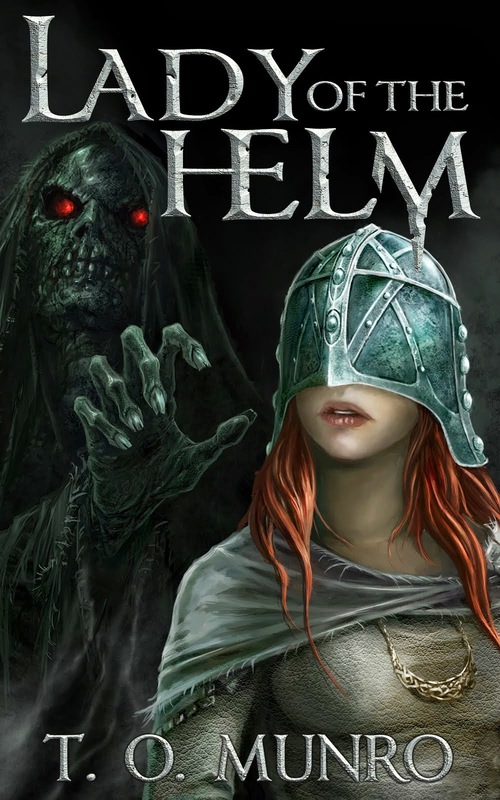 I am curious as to how it turns out for Lady of the Helm, but I know my book is not to everyone's tastes. I am just glad it has fascinated as many people as it has. The Lows - Hard Lessons. Alongside the general positivity, less favourable reviews can hurt. To return to my earlier analogy, an author's books are like our children. Sure we know they have imperfections. Those flaws which we are, if not wilfully blind to, at least minded to overlook. Having them thrown into harsh relief by an unfavourable review, either pithy in its disparagement, or surgically detailed in its criticism is like being told "Jeez, but your kid's ugly." Nonetheless they are instructive. Even in the negative reviews I still recognise the book they are describing, it is simply that the reviewers attach a different weight to certain features in building their overall impression of the book. For some the tropes were too familiar, the variations insufficiently distinctive. This may have been more an issue for those voracious consumers of large volumes of fantasy for whom a certain trope ennui is understandable. I might be disappointed that they did not see the twists in the same way that others did, but no book works for everyone. This trilogy's genesis lay in my own desire to develop and tell a story on a traditional epic fantasy scale. That won't be to every reader's taste, nor will it describe every book I write, as my sources of inspiration change. Reader and author must I guess merely accept that and move on. For another the dispensability of apparently main characters was too bleak. While some reviewers made complimentary references to a GRRM like ruthlessness, one other stopped reading in belief that there was too little hope of a happy ending. That's partly how the story had to be set up from the start and - like a medieval parent in an age of high infant mortality - it is unwise for the reader of this trilogy to form deep attachments to characters too early in the scheme of things. It is not that I am averse to (some) characters enjoying a (sort of) happy ending. It's just that a story should change a character, otherwise what's the point. Even Frodo did not escape the war of the ring unscathed. At the Grim Gathering in Bristol, Joe Abercrombie was asked if he ever felt so engaged with one of his characters that he changed his story to spare them from a planned fate. His reply was illuminating, to the effect that his characters were simply the tools with which he tormented his readers. Their purpose was to evince a reaction in the reader, their long planned fate, simply an opportunity for Joe to fetch a fresh and exciting tool from his box of characters. "The characters are well developed and serve their time well until their usefulness to the plot expires – at which point they tend to follow suit." There are a few characters who owe their survival to the intervention of my youngest daughter and beta reader who refused to let me kill them off as I read the developing work to her at bedtime. To be fair, their survival certainly enabled me to enrich later parts of the story. I read a fellow self-published author's work a while back and met that same disconcerting effect of a character in whom the author and reader had invested time and effort suddenly dying - and indeed doing so off stage. That and those reviews have minded me to be a little less cavalier with my own darlings. After all, death is not the only peril a character can face, mere survival is not the only challenge. I've got a long way into my current work in progress without having to kill anyone off - however I'm sure it won't last. There were always going to be multiple points of view. I originally conceived of the book in vaguely cinematic terms with parallel storylines portrayed through flip-flopping scenes showing a sequence of events occurring simultaneously for different characters. It's a motif that I stuck with through the trilogy, but I must admit when I was looking at a print run proof copy and seeing some scenes that are less than a page long I did think, "Maybe that's a bit too choppy and changy." I mean as the author I always knew what was going on and could see the logic in the juxtaposition of scenes. But then I'm writing for the reader not for me. So the scenes did get longer as the trilogy went on, and in my work in progress several of them are almost long enough to be called chapters, while I have limited myself to three major and one minor PoV characters. This was partly in the (so far vain) hope that this would keep the word count at the lower end of the epic scale. I was a year and a half into my self-published adventure before any review mentioned poor quality of editing as an issue and then two did in quick succession and it stung. In particular the question being raised as to whether there had been any editing at all. Now, my books were not perfect, but certainly they were repeatedly subjected to self-editing. I figured, English is my native language, my colleagues at work think I'm a fairly literate fellow, I write reports and letters and manage to avoid offending with any grammatical faux pas. Sure I can manage this. And I did check and re-check, so the suggestion that there had been no effort at all at editing was right up there with the "Your child's pig ugly" comment on the hurt scale. For most readers the editing was not an issue, but when mistakes are pointed out you do start to think "Oh crap!" and hang your head a little. We're talking here about the odd typo. There was the occasional name misspelled or in one mortifying case, not changed from an earlier completely different iteration of the story when Odestus was called Olwen. There was also a particular grammatical issue over capitalisation within quote marks. I've seen a lot worse edited self-published books and I've seen similar errors in some traditionally published books - just fewer of them. But the fact of the matter is that you do need a second pair of eyes, and ideally a trained pair to take a look at it. And those people who notice these things, really notice these things. Given the margins and sale volumes that most self published books work on, professional editing will wipe out whatever potential profit margin exists for many of those books. However, I am keen to explore what difference it can make, so my next book will get a professional edit - I'll call it an investment in my hobby. In the meantime, the joy of e-books and createspace print on demand publishing is that necessary corrections can be made and can go live instantly. The story changed and developed over many years. It is hard to think back and recall when certain points of the story got pinned down. Quintala the half-elf lady was originally Quintor the half-elf man. I really can't remember when I decided who was sharing Bishop Udecht's bed, but it must have been early on. I knew some key plot devices like how the great weapon worked very early on, but I still had no idea how that would help defeat the Dark Lord. The throwaway character in a single scene in book two suddenly became a pivotal player in book three, to the point that I was somewhat embarrassed his name was so similar to well known grimdark icon and tried to disguise the similarity with a nickname. 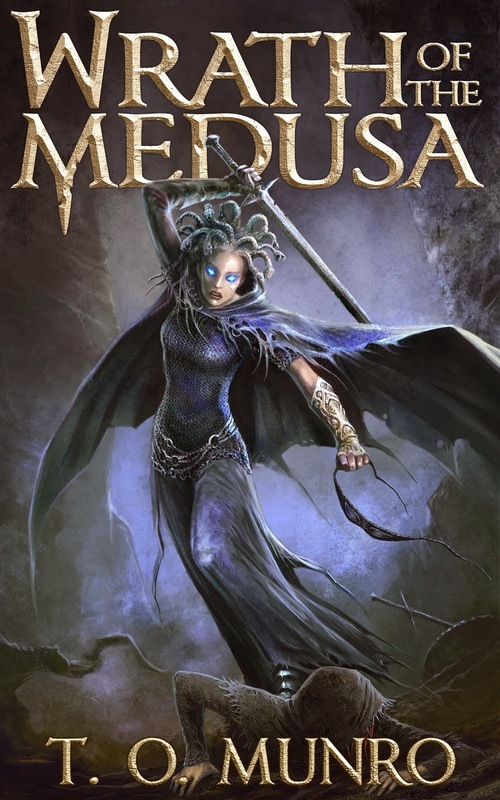 But I suppose the biggest surprise is how far the readers warmed to Dema, the Medusa. Even the critics thought her the most intriguing person in the story. Much as I liked writing her, I never thought she would be the trilogy's unique selling point. 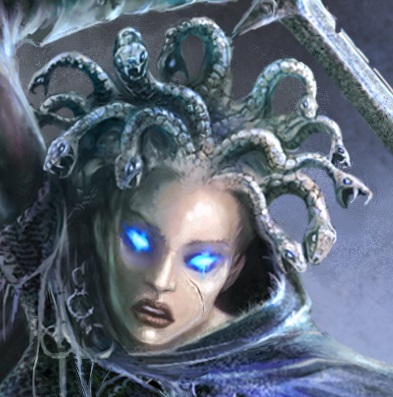 But then again, how many other fantasy epics can boast a medusa! Thanks for the thoughtful report on your experience with self-publishing. I'm always curious to see what other people have done, and how their books fared. I think you were reasonably successful. As a self-publisher, one of the biggest issues confronting me is whether to hire professionals to do the editing, cover design, and typesetting. These things are fairly expensive and, as you point out, would take the profits, and more. Therein lies the conundrum. When we self-publish, we become not only writers, but also publishers. Publishers have editors, cover designers, and typesetters. To some extent, they have marketing and publicity people. All professionals in their trade. Editors have (hopefully) studied in great depth where the commas go, how a sentence is structured, and how a story is constructed. Cover designers (hopefully) have studied art and design. Even if you assume that most self-published authors can write at a professional level (which they can’t), they certainly cannot design a cover or edit a book at a professional level. For us as self-published authors to do this work ourselves is analogous to someone with no musical training reading a book on how to play the piano, and then going on stage to give a concert. The result would be the musical equivalent of what self-publishing is today: largely a bunch of amateurs pumping out sub-par work and producing it in sub-par form. In your case, I’ll start by saying that your covers are quite good, and you have a common brand design. I do not read the type of book you write, but I looked at the “Look Inside” feature on Amazon. You would definitely benefit from the services of a line editor. One thing that stuck out to me was your use of two spaces after a period. That’s not the standard anymore in typing, and you never saw it in books. There were, on the first page, places where commas were missing, and words should have been hyphenated. I don’t fault you as a writer, because these things are sometimes not obvious. That’s where an editor comes in. I looked at the print version of one of your books. It appears to have been set in a sans serif font. You will not find a professionally published book in such a font. It’s also not properly typeset. For example, there are large spaces between words due to forcing full justification. These things may sound petty and nit-picky, but that’s what doing professional work is all about. The point is not to criticize you. You have worked hard and made a meaningful contribution to the world. The point is that to be both writers and publishers, we need to hold ourselves to a high standard. If a writer can’t afford an editor, typesetter, and cover designer, then the writer must master the basic principles of these things. There are articles all over the internet on the principles of typesetting a book, for example. Which fonts to use, and which not to use. The same is true of cover design and editing. Self-publishing will never shed its stigma of poor quality and amateurish writing, because that’s what it fosters, and that’s largely what it is. But for those of us like you and me, we can establish the exception. For an example of what a self-published book can be, take a look at “The Gondola Maker,” by Laura Morelli. Professional cover design, professionally edited, and professionally typeset. That is an awesome, detailed analysis. I'm sure my graph mirrors yours since I started self-publishing two and a half years ago. I didn't start using the KDP Select though, and only on certain books, until late in 2014 when I saw my sales going to crap...not much relief with that, and now with the newest royalty calculation, I've gone out of KDP Select.